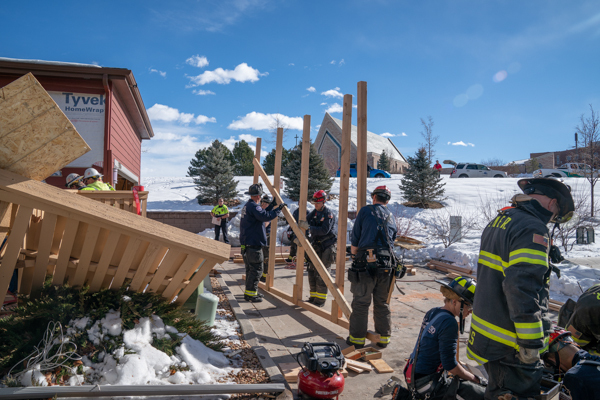 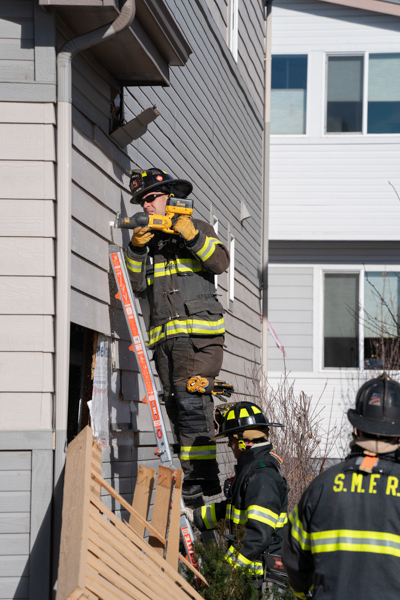 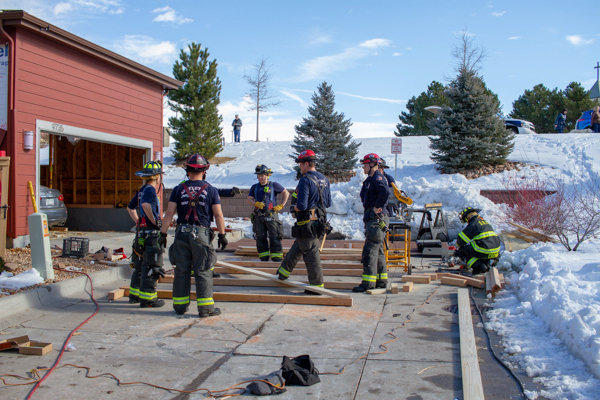 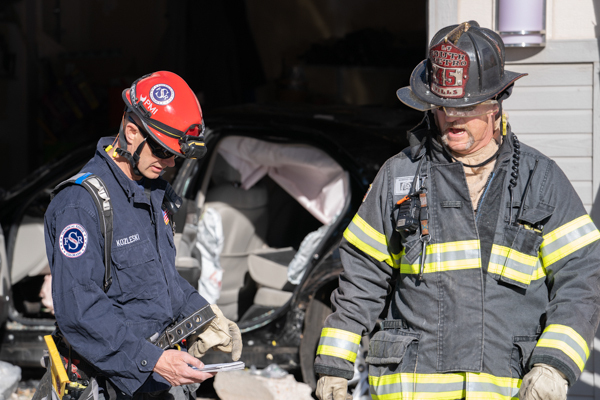 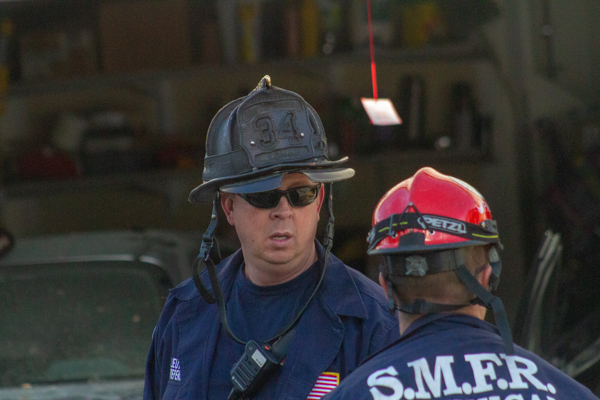 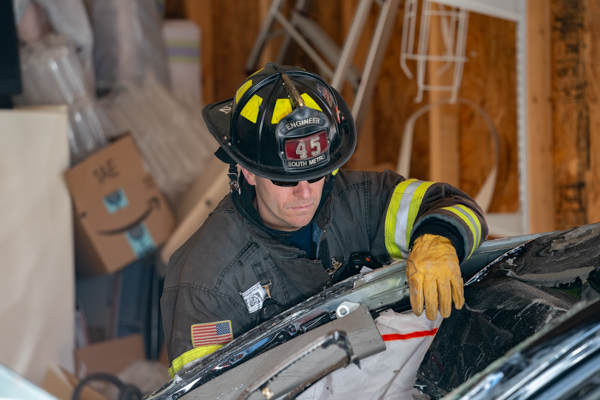 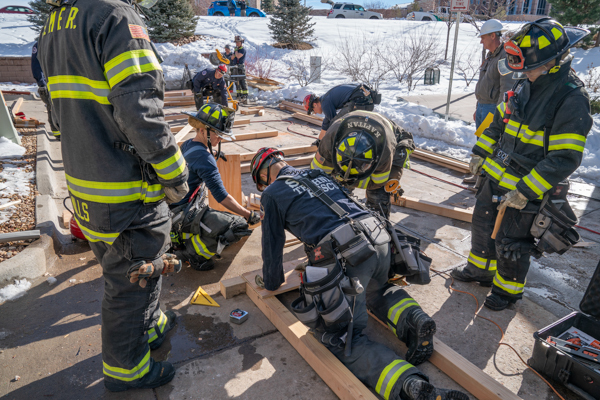 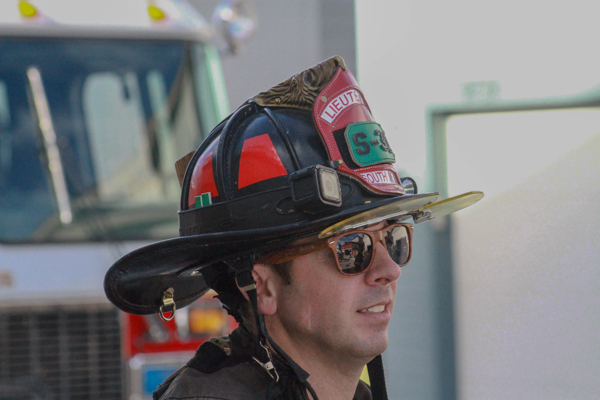 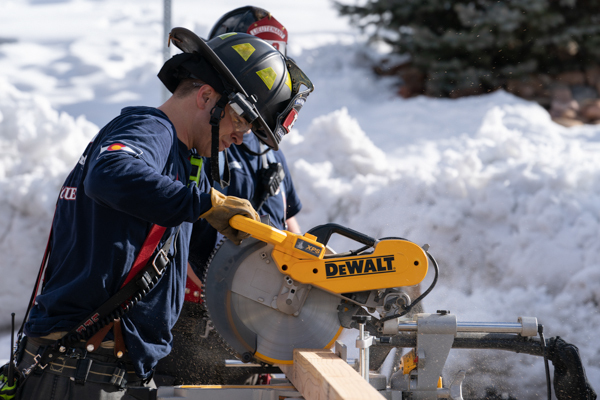 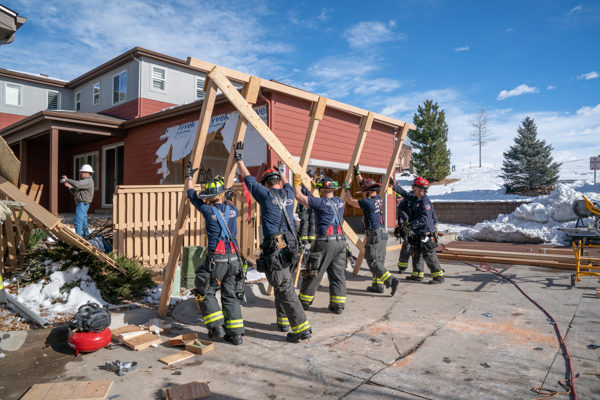 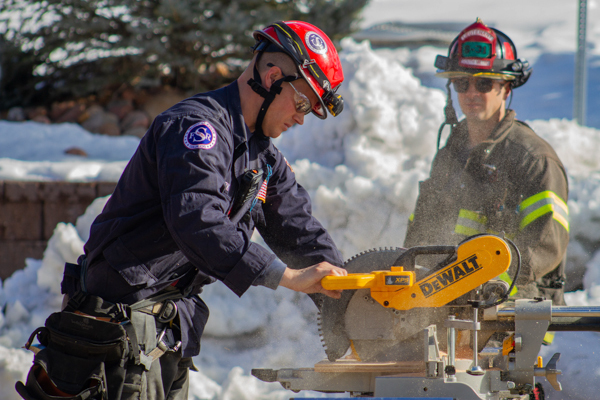 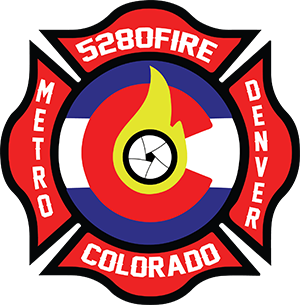 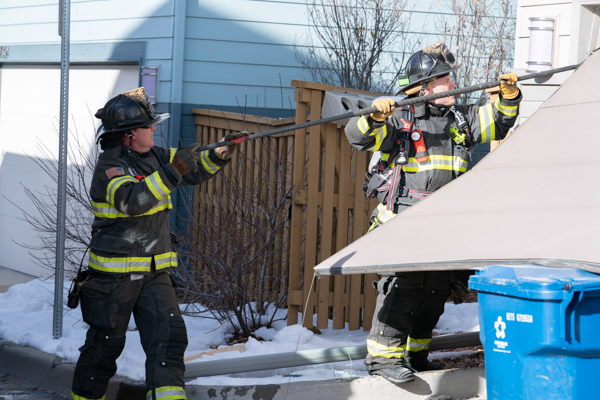 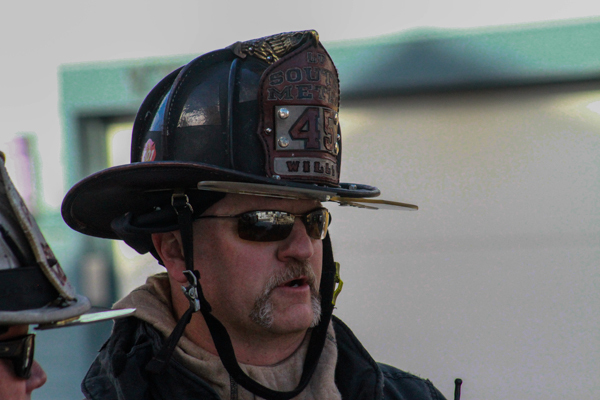 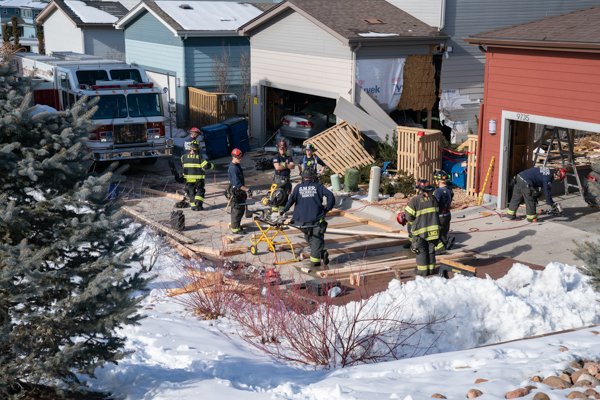 At 09:30 on January 16th, 2019 South Metro Fire Rescue responded to a reported explosion on Dunning Circle in Highlands Ranch. 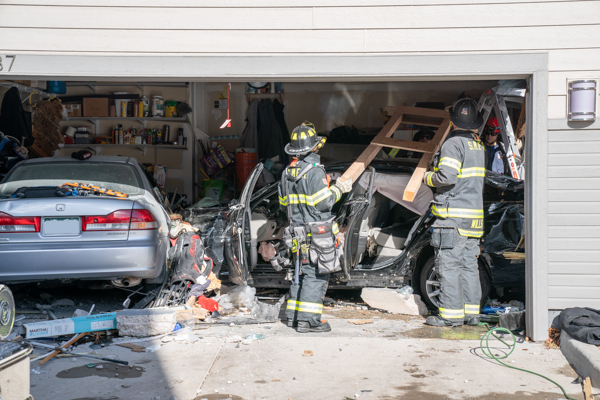 As crews were responding additional 911 callers reported a vehicle left the roadway and struck a house. 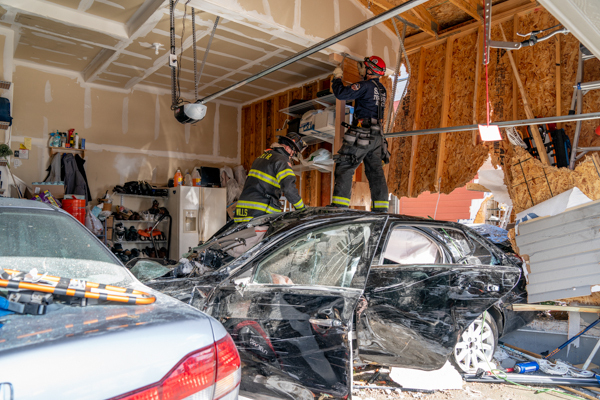 When Firefighters arrived, they found 2 homes with significant structural damage and the driver of the vehicle with serious injuries. 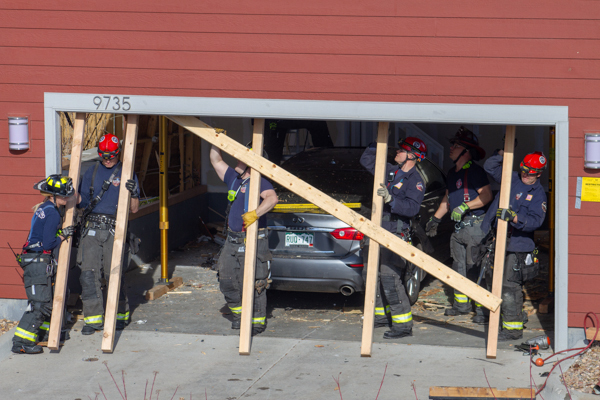 That person was quickly transported to the hospital and crews confirmed that no one else was trapped or injured. 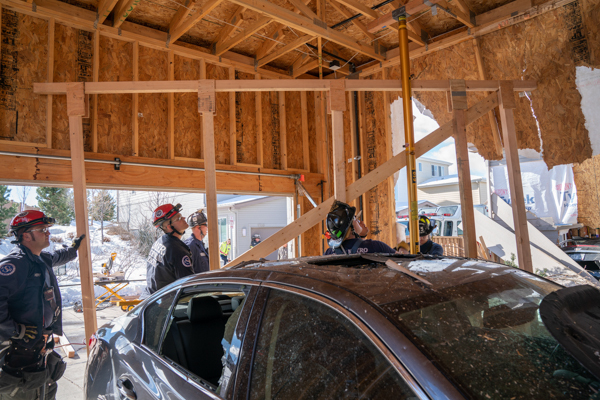 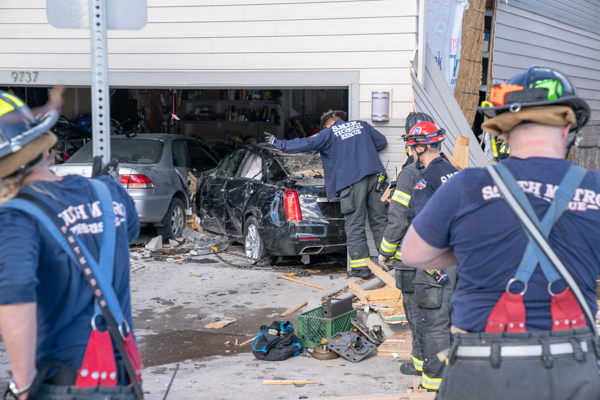 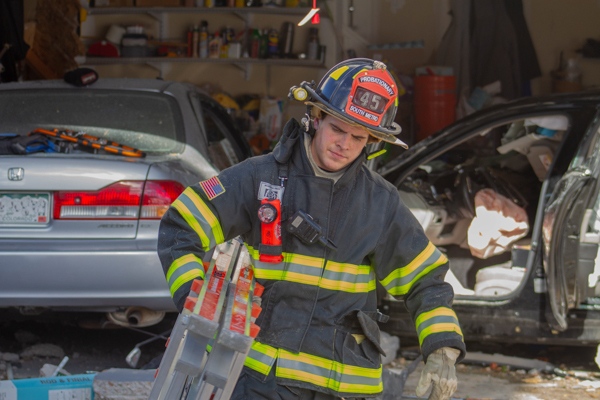 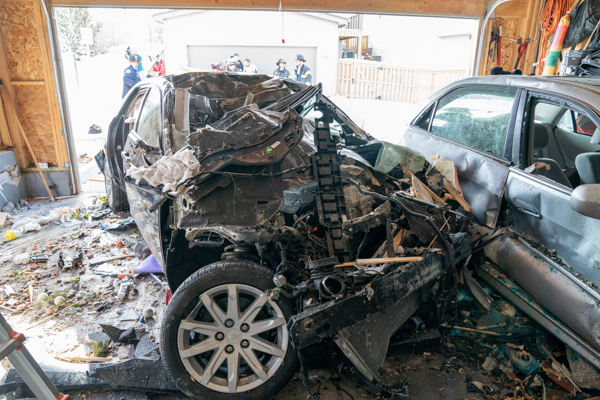 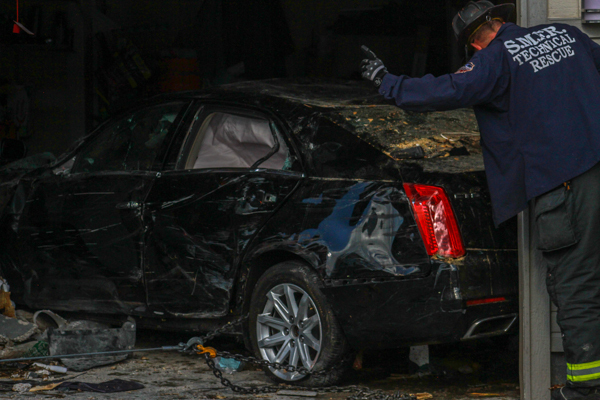 The vehicle appeared to have gone airborne from the west side of Grace Boulevard and Fairview Parkway, flying completely through the garage of one home, then penetrating the wall of a second home where it came to rest inside that garage. 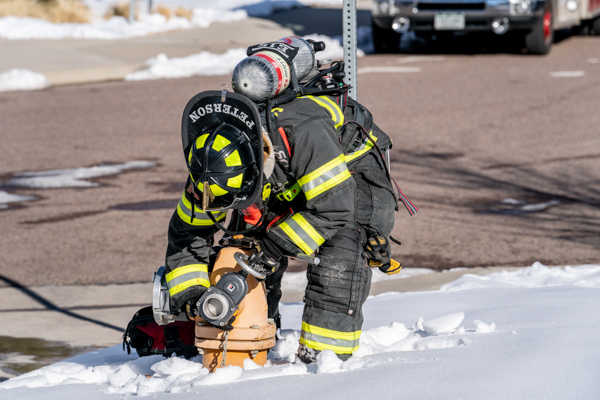 Electrical boxes and one natural gas meter were also damaged in the crash and required Xcel Energy to respond and secure the utilities. 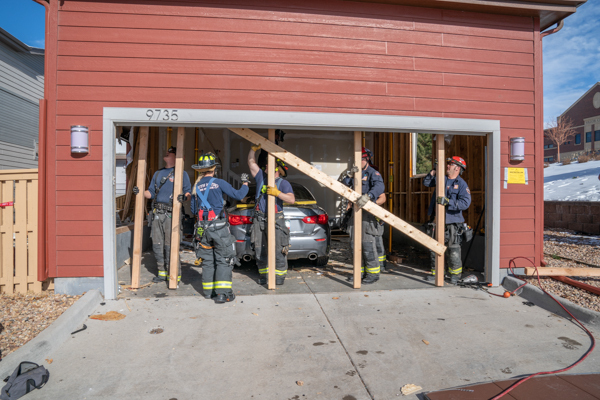 Crews remained on scene for nearly 3 hours while the SMFR Technical Rescue Team constructed emergency shoring to ensure the garage structures didn’t collapse. 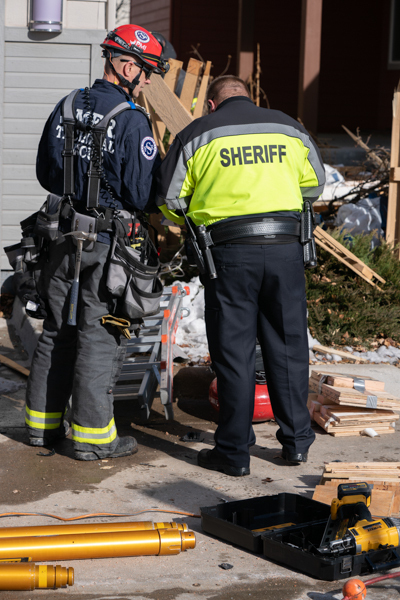 Douglas County Sheriff is investigating what caused the accident. 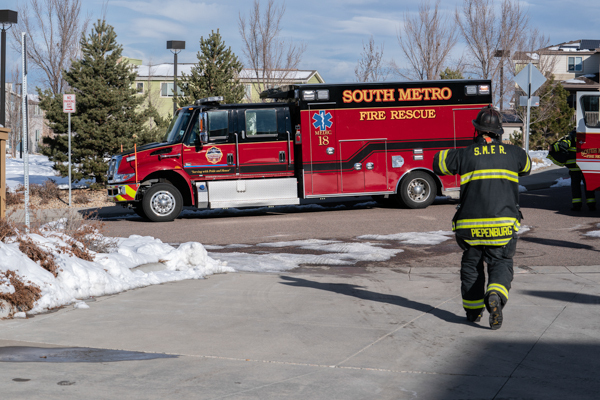 Rescue 10 from West Metro Fire Rescue was requested but cancelled en route. 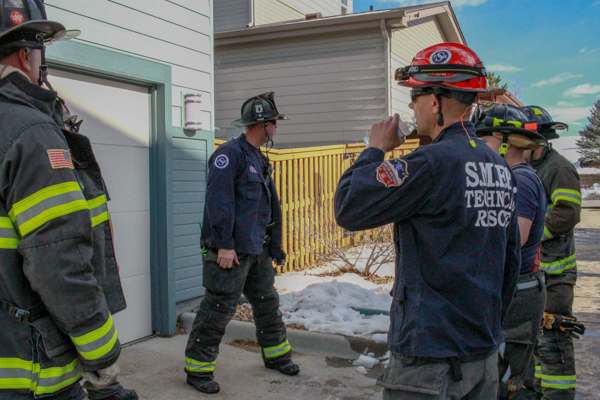 Additional story and info provided by South metro Fire Rescue.